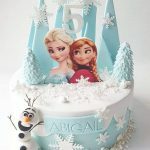 Cakes by Kim has partnered with Cakes.com to bring you a truly unique line of special occasion cakes. Each of these unique cakes is created right here in our Wilmington store using the same fresh, quality ingredients as all other Cakes by Kim products. Ordering is as easy as 1-2-3 ! Browse the online Theme Cake Catalog at Cakes.com. Select your cake from the many distinctive themes and styles. Call us to confirm price & delivery, and to place your order. Deco-Pac’s for some themes may not always be in stock so please allow 1-2 weeks for delivery.